Growing eggplants in containers is not complicated, and if you’re a fan of grilling and oven broiling, you should grow this delicious and PRODUCTIVE vegetable. Eggplant is a perennial tropical vegetable plant native to South and East Asia (namely, China and India) and a member of the tomato family. The plant loves heat and full sun and requires evenly moist soil in its native environment to thrive and fruit heavily. These are the medium sized bushes, and nowadays a much more dwarf and compact cultivars are available for limited space gardeners. Similar to the other cousins of nightshade family e.g. tomatoes and peppers, it is possible to grow this vegetable in a container. 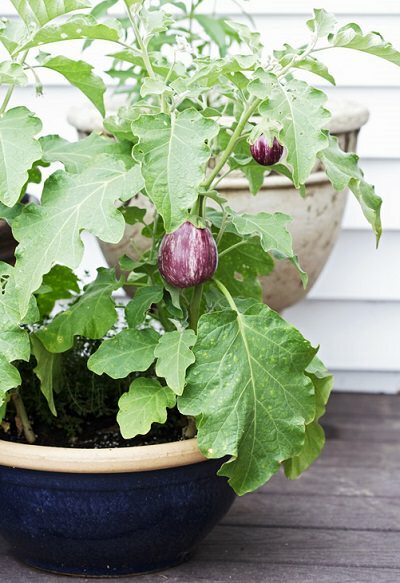 Growing eggplants in pots is possible in two ways– Either start them using seeds or buy the seedlings from a nearby nursery or garden center. If you’re new to growing plants and have not grown them much– buy a few seedlings of your favorite eggplant variety. This will make things hassle free! If you’ve decided to germinate them from seeds, then that is also relatively easy. Usually, in the spring, it’s the season when eggplant seedlings are transplanted on the ground when all the dangers of frost are passed. BUT container grown eggplants can be planted in summer and even in early fall, if you’re ready to move the pots here and there to control the temperature, especially during the nighttime when the temperature dips down. If you’re growing eggplants in a hot and warm frost-free climate, planting in winter is also possible. Note that; this vegetable plant is more sensitive to low temperatures than tomatoes and peppers. Ensure you plant up to two seeds in each cell of a seedling tray or directly sow two seeds in each container. Remember, the eggplants require a lot of warmth for germination, more than tomatoes and peppers. Therefore, if you think the outdoors is not warm enough (temperature above 68 F (20 C) is good enough for eggplant seeds to germinate), you can place them indoors to kick start their growth, that’s the best of container gardening. Once they have sprouted and had up to four leaves, they can be transplanted into the desired containers. You’ll need a large container, depending on the cultivar, the larger the variety you’re growing, the larger the pot! Usually, the eggplant is relatively large, similar to a pepper plant or tomato so it requires a large pot which should be big enough for the capacity of five gallons, at least. 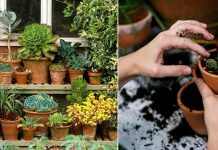 In other words, use a pot that is at least 12 inches deep in size for each plant. If growing in a cooler region, choose a pot that retains heat. 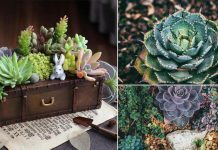 Here’s an informative article on choosing the best pot type for your container garden! Place the pots in a spot which has good air circulation and gets direct sunlight and some wind. This is because the eggplant requires a lot of warmth and sun exposure when growing. West or south facing direction is appropriate. The eggplants require a lot of nutrients for growth and a neutral or slightly acidic soil in pH. Use soil that is rich in nutrients, most preferably loamy soilless potting mix. Eggplants thrive in the soil which has adequate and sufficient moisture so think about the moisture retaining capability of soil too. Therefore, you should also add a lot of compost or aged manure to the soil to enhance its capacity to retain water. Eggplants love to grow in evenly moist soil, ensure you provide adequate moisture for them. 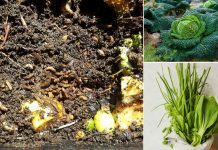 Make sure the drainage is good to avoid root rot. Also, take care not to saturate the soil with too much water making it soggy. To provide ample nutrients for more productivity, you should apply fertilizer following the recommendations on the fertilizer bag. As eggplants are heavy feeders and need the fertilizer high in phosphorous, use the 5-10-5 fertilizer or other in a similar ratio, you can apply the balanced fertilizer, too. If required, spray on the leaves of your plants with liquid plant food, typically known as the foliar feeding. Once the plants are germinated and transplanted into the pots, provide them heat and try to keep them in the temperature above 50-54 F (10-12 C). If you’re growing eggplants in a warm climate, you don’t need to worry about temperature requirements much. 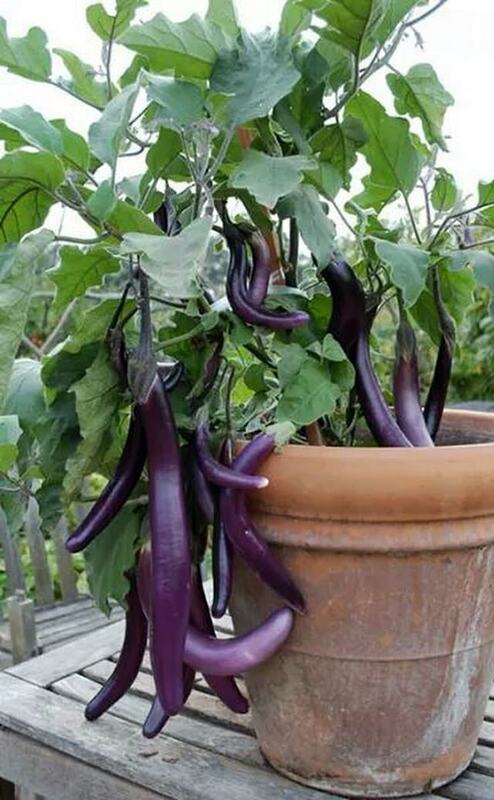 Growing eggplant in a pot is not different than tomatoes, however, pruning it and picking the suckers is not necessary unlike TOMATOES but to improve productivity you can do this. When the plants are mature, you’ll need to look out for suckers to remove them. Yellowing or diseased leaves or branches growing tall and lanky and hindering the growth and productivity should be removed too. As eggplant bush grows tall and its fruits are plump and heavy, you’ll need to tie your plants to the stake to support them. The most simple thing you can do is to thrust a stick in the pot and tie your plant to it, you can also use a cage to help the plant from falling. The most common pests for the eggplant is the black flea beetle, which feeds on the leaves of the plant, these insects are the common sight but if the plant is healthy, they won’t do any harm and also the aphids. One more common pest is the cutworm. This worm, as its name suggests, usually cuts the plant at its base. This can be prevented by using a cutworm collar or you can easily eliminate them by yourself. These pests can also be controlled using CHEMICAL pesticides, which we don’t recommend. 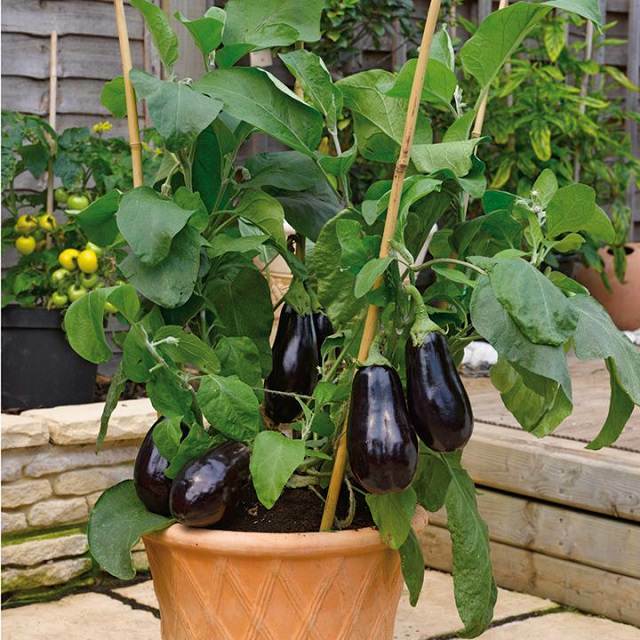 Eggplants grown in pots don’t get affected by diseases often. However, if you want, check out the list of eggplant diseases here! The eggplant usually reaches maturity after two to three months after planting, to say more clearly, in 60-80 days, depending more the type of variety you’re growing and the climate. At around this time, the plant starts to produce fruits which grow to become glossy when fully mature.